It can be extremely rewarding to own your own home, but it can also be challenging. For example, when you rent a home, you can call maintenance when something breaks. When you own a home, you are responsible for repairing issues as quickly as possible or suffer the consequences. This includes roof leaks. Discoloration of the Ceiling or in the Attic – In some cases, you may not notice that you have a roof leak until there is a rainstorm. In these instances, you may notice a wet spot on the ceiling or moisture on the rafters. If you are dealing with a relatively large leak, it could cause discoloration on the ceiling of your top floor. Discoloration Around Fixtures – This is a sign that you have a serious leak on your hands. Due to the location of the leak, it can often lead to electrical issues. Therefore, when this type of damage is detected, a professional should be contacted immediately. Buckling, Curling or Missing Shingles – Roofing shingles are ultimately the first line of defense for protecting your home’s roof. 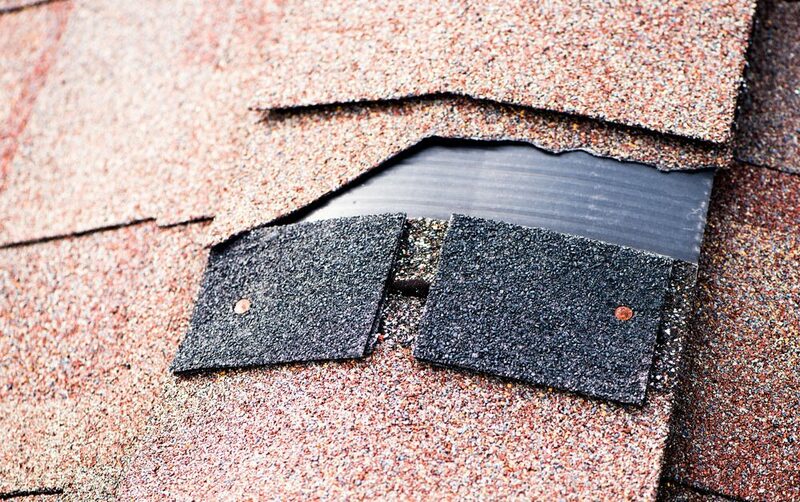 If there are any signs of curling or buckling, there is a good chance that there is moisture trapped below the shingles. Eventually, this could result in wood root. The longer you try to put off roof leaks, the more problematic and dangerous they will become. Believe it or not, delaying roof repair can be one of the most dangerous things in the home. Here are just a few of the potential dangers of failing to have roof leaks repaired sooner rather than later. The attic is one of the first areas of the home where a leak can be spotted. The leak will not only destroy the ceiling in the attic, but it will also cause damage to the items that are stored in this space. The larger the leak, the more damage it will do to the interior of your home and your personal belongings. Eventually, you will begin to notice damage on ceiling fixtures, which could lead to electrical problems. Over time, mold and mildew will begin to grow from failing to repair a leaky roof. Mold can spread very quickly, and it is difficult to eradicate. It will eventually make its way into your HVAC system, vents, furniture, carpeting, and clothes. Black mold is the mold common type of mold that occurs from chronic water exposure. Whether toxic or nontoxic, black mold can result in damage to wood beams, flooring and various other structures in the home. Unfortunately, mold remediation is rather expensive. Mold can also lead to serious health issues, especially for pregnant women, individuals with allergies or asthma as well as individuals with weakened immune systems. A roof that leaks will lead to damaged rafters, ceiling joints, wall framing and even exterior fascia boards. Chronic water damage will result in rotted wood and deterioration of the wooden framing of the home. This is very serious, as it messes with the structural integrity of the home and could result in the home’s wood framing requiring replacement. In some cases, the roof could collapse if the walls buckle. It is important that all homeowners be aware of the signs of a roof leak. In addition, roof leaks should never be ignored. Do you think you have a roof leak? If so, contact us at Bullard Roofing to schedule an inspection.